Not only do we love playing with LEGO bricks and creating simple LEGO water play games, we also think it is fun to make LEGO themed food for playdates, birthday parties, and special occasions. LEGO Week is one of those special occasions, so we'll be trying some of these again this week! 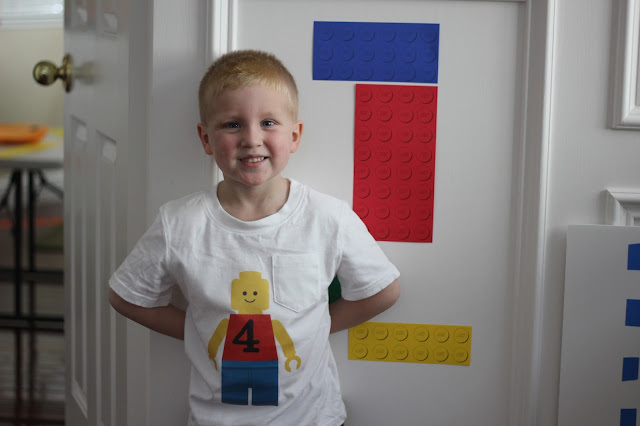 A few years ago we threw my son a LEGO themed birthday party. 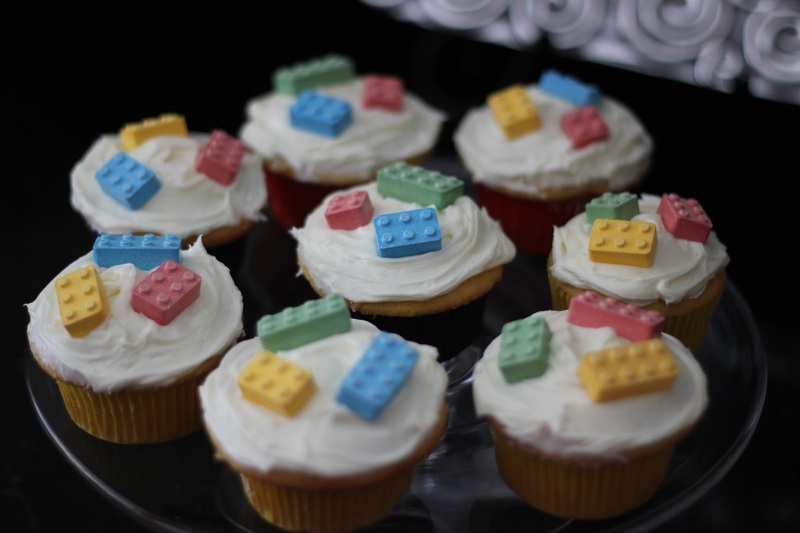 Today I am sharing a few of our favorite LEGO themed snacks/food items from that birthday party along with a few other favorite LEGO food ideas we found recently. 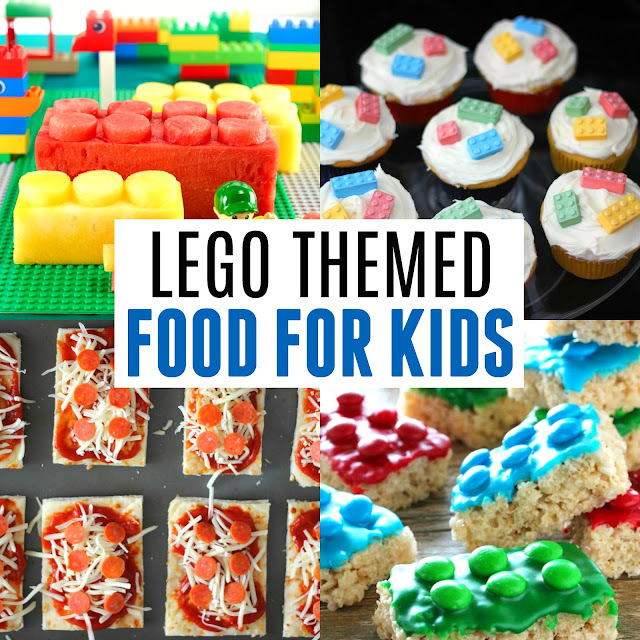 If you have a favorite LEGO themed food idea, please share in the comments! When hosting a party for kids, we always like to make sure we make something with a little protein in it to serve! 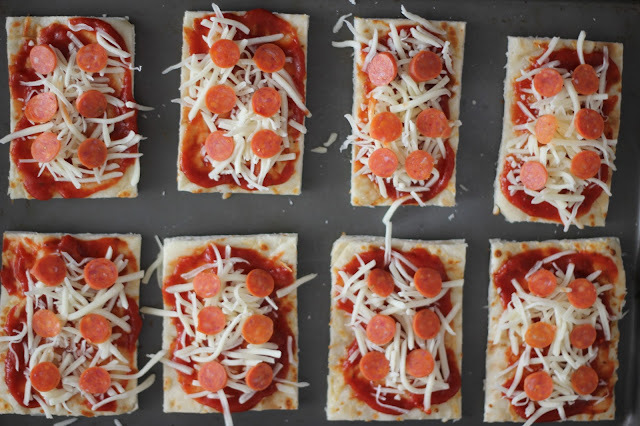 These homemade mini pizzas were easy to put together and the kids inhaled them! We just used mini pepperoni, pizza sauce, mozzarella, and pre-made (pre-cooked) pizza dough cut into rectangles. We cooked them at 400 degrees until the cheese was melted. The folks over at Keeping Up with the Tones shared this quick and easy LEGO themed fruit platter. 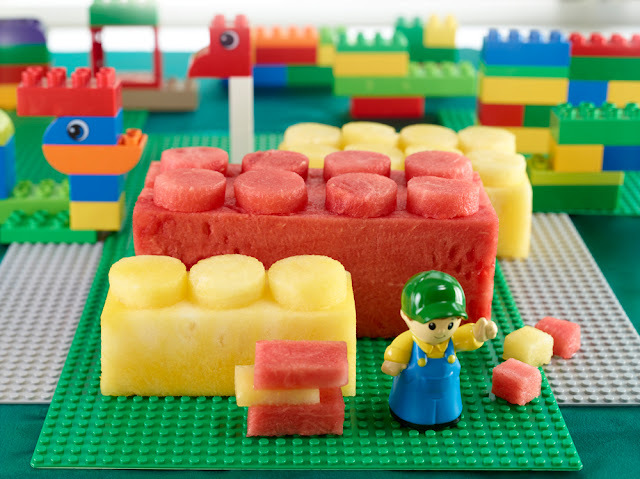 Just use straws to cut out fruit and then add them to rectangular pieces of fruit in order to create LEGO bricks. These carved LEGO watermelons and other fruits shared by Watermelon.org are also adorable! We are putting these on our agenda to make this week! 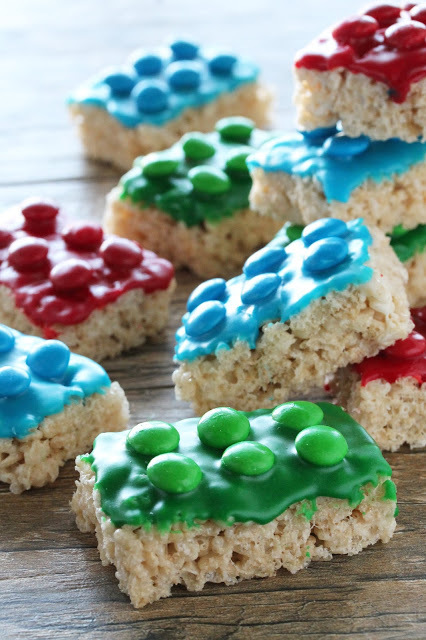 Not only do these LEGO themed rice crispy treats shared by The Stay At Home Chef look delicious, they are also adorable! The Mauve Dinosaur shares her trick for making these LEGO themed sandwiches over on our blog. This is a great way to infuse something healthier into your party and still have it looking great! I'd want pbj, turkey, and ham on ours! How about you? 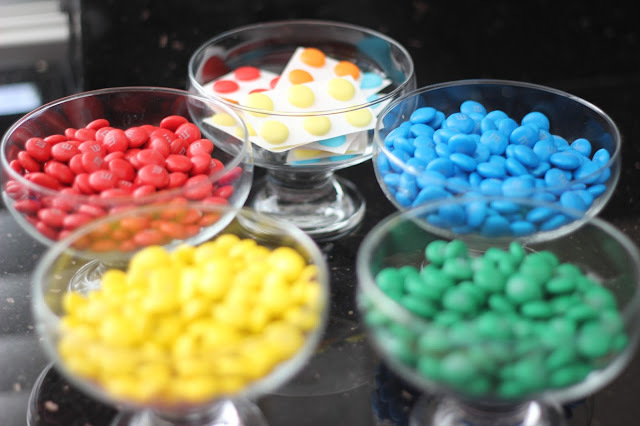 We love these candy buttons! We cut them up into rectangles and they are the perfect size to be LEGO candies. You can also use M&Ms, graham crackers, and frosting to build your own LEGO bricks. Although I always prefer to make healthier snacks first, these are a fun treat to have every now and again. Wrapping up juice boxes in simple LEGO brick printed paper makes snack time during LEGO Week even more fun! You can download the juice box wrapper template over at Delia Creates. Just scroll down to the bottom of the post. I grabbed some LEGO brick candies at a local sweet shop and then added them to the top of vanilla cupcakes with vanilla icing. We left a few of these out for kids to play with too because you can actually build with them! These cheese snacks are a throwback to when I was little. 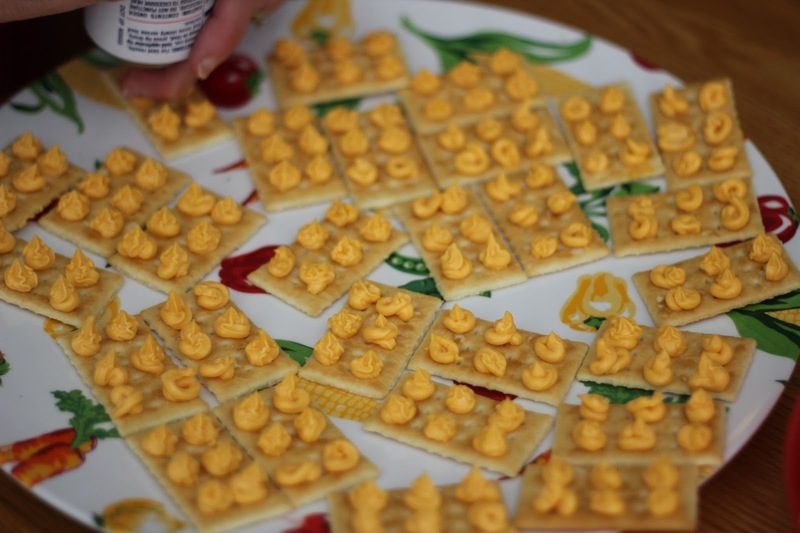 Spray cheese plus crackers were an annual favorite at our New Years Eve party. Kids love spraying the cheese onto the crackers. Alright, now it is your turn! 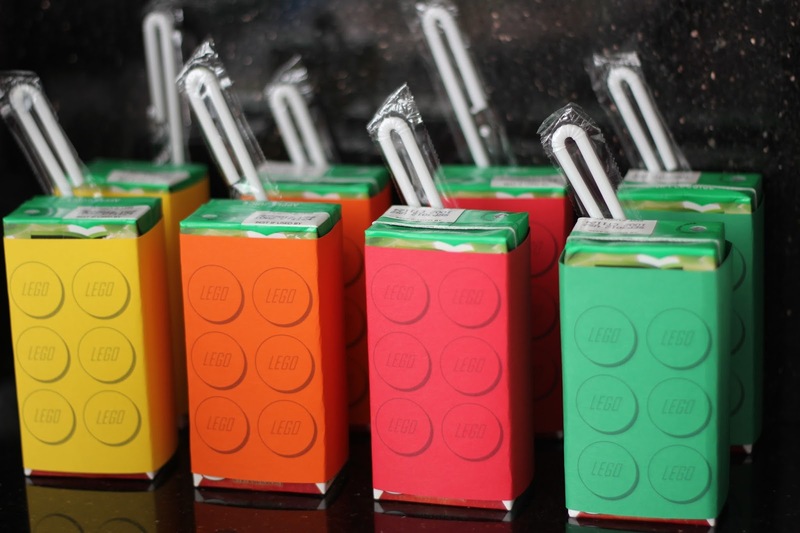 Do you have any other favorite LEGO themed snacks we should add to our LEGO Week snack/lunch schedule? Don't forget to check out the other LEGO activities being shared this week over on our LEGO Week Landing page! PS- I can't believe that it was over 5 years ago that we hosted a LEGO birthday party for my son! He is now 9 and a half! My how time flies!